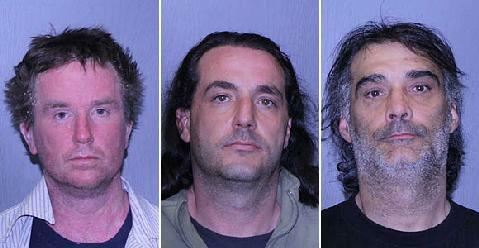 George Sawyer, 40, Brian Stewart, 39, and Robert Stewart 49, also known as the Connecticut Three Stooges. *Crack is a terrible thing! That’s the only thing that could possibly explain the set of foolishness that, what we call, the Connecticut Three Stooges was trying to pull off.